Ski Holidays to Lauterbrunnen in Switzerland 2017 & 2018. If you are looking for a quiet and exclusive feel to your ski holiday then Lauterbrunnen, Switzerland, is the resort for you. Located in the Lauterbrunnen Valley, it is located at the head of a gorge of waterfalls and sits on the valley floor below Wengen and Murren. The resort is within easy distance of Berne, Geneva and Zurich and can be reached by train from all three cities. This makes it ideal for the increasingly popular, long ski weekend or for the more traditional week long break. Your lift pass covers all the lifts in Wengen and Grindelwald and also covers Interlaken. There is no direct access to the slopes from the village, so skiers have to decide in the morning whether they would rather go up the Wengen/Grindelwald side or Murren. You then need to get to the train station and take a train to either Wengen or Murren before using lifts from these resorts to get you to the slopes. This can seem a little laborious and time consuming at times. As the resort is situated in the valley floor, snow cover in the village cannot be guaranteed throughout the season, indeed January and February are the most reliable for this. However, when there is snow cover, then you can return to the village on skis by completing the longest run in the area. Starting from Murren take the 15km run from Schilthorn to Lauterbrunnen. The skiing in the Jungfrau area is particularly well suited to intermediates and beginners, with less challenging pistes for expert skiers although there are good powder conditions and expert skiers can also sample the excellent off piste conditions. Local ski schools offer guided off piste. For the more adventurous, there is also heli-skiing based in Interlaken. There is also some good boarding available. There are local ski schools in either Wengen or Grindewald, which are well organised and have a good reputation. 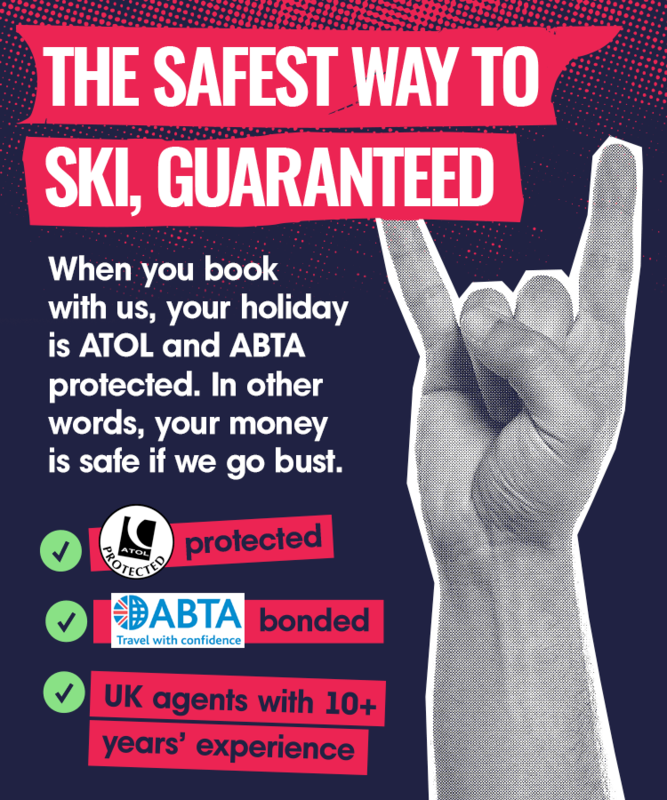 Ski hire is also available locally. Wengen also has the English speaking Playhouse Nursery, situated in the Sports Pavilion. It allows drop off throughout the day and can cater for periods of one hour or a full day as parents wish. It takes children from 18 months to age seven and is open from 09.00-17.00 Sunday to Friday. Costs are CHF15 per hour and lunch is an additional CHF10. In addition there are three English speaking kindergarten facilities on the slopes which take children from ages three to seven. Full day care is approximately CHF50 and they are open from 9.30am-4pm Monday to Friday. Lauterbrunnen is a pretty, quiet village and as such the night life is limited. There are a few hotel bars but those looking for something a little more lively either have to stay up in Wengen or travel to Interlaken. There are plenty of both bars and restaurants in Interlaken. In Wengen try Sina’s Bar, Tanne, The Crystal Bar or Rocks Bar. However do remember to leave in time to catch the last train home, as it is a very long walk otherwise! Accommodation in the village includes family run hotels and also Camping Jungfrau. This has space for parking your own motor homes, or you can stay in one of the bungalows or dormitories, which cater for families/groups. The accommodation is low cost, there is a good supermarket on site and they also run a free bus to the slopes. For those who prefer the quiet of cross country to the thrills of downhill there are 30km of cross country trails for you to explore this lovely valley. Other winter sports available include ice carting, ice skating, tobogganing, curling (in Wengen) and Snow shoeing. This is a fun recreational activity using special snow shoe footwear for walking over snow. It works by distributing the person’s weight over a larger area, so that they do not sink into the snow. There are also flood lit ski and snowboard exhibitions or take a train excursion to the Jungfraujoch at 3454m. The famous Piz Gloria revolving restaurant on the Schilthorn above Murren featured in the James Bond film On Her Majesty’s Secret Service is worth a trip, if only for a drink. Lauterbrunnen, a pretty, friendly and quiet resort is an ideal base for a family holiday. It offers a value alternative to the bigger resort of Wengen, although the trade off is some inconvenience in getting to the slopes. Those seeing a vibrant aprï¿½s ski scene should stay away, but for those looking for a quiet break with access to good skiing, Lauterbrunnen is ideal.